One method of connecting with users on mobile, which most brands likely wouldn’t consider, is by using mobile wallets. Mobile wallets, despite being native to both iOS and Android, are still on their way up to becoming amainstream payment method. New research commissioned by Urban Airship suggests that not only is usage of mobile wallets becoming more widespread, but that the ‘non-payment’ functions of wallets may give brands an unprecedented opportunity to reach out to consumers through their smartphones – without the need for a mobile app. In the above study of 2,000 smartphone owners from the US and the UK, more than half of the respondents surveyed (54%) had already used a mobile wallet in one form or another. Mobile wallet uptake was particularly high among younger users, and those with above median household incomes (over $60,000 a year). It also found that mobile wallets could potentially boost participation in loyalty card programmes. 69% of respondents said they would be more likely to use a loyalty card if it was on their phone. The two biggest problems cited with loyalty card programmes – consumers forgetting the card (43%) and forgetting they are members (40%) – could both be solved quite easily through using mobile wallets. Responses also indicated that consumers would be happy to be contacted about sales and other offers via their mobile wallets. Mobile wallets ranked in the top four ways that consumers want to be kept informed about sales, regardless of generation. Among UK respondents aged 18-34, mobile wallet was the second-most preferred channel to receive information about sales and coupons, ahead of websites and apps. Coupon expiration reminders could also be sent directly from the wallet pass to mobile lockscreens, which would make 64% of respondents more likely to use the coupon (77% among the 18-34 age group). These can be combined with location tracking to send a reminder about coupons expiring when customers are in the vicinity of a physical store, helping to drive foot traffic as well as encouraging coupon redemption. Urban Airship’s study also posited that mobile wallet usage across a range of areas could drive the future of mobile payments. “Already 55% of respondents are likely to use their phone to pay for things at the register. That likelihood rises to 73% when loyalty discounts and offers are automatically applied — a whopping 32% increase. Urban Airship believes that businesses need to seize the opportunity presented by expanding mobile wallet usage to communicate with customers in new ways. It points out that mobile wallet “provides another persistent messaging channel on the smartphone”, allowing companies to increase engagement on mobile without the need for a dedicated app. When it comes to investing in the mobile web versus a mobile app, there are benefits for companies on both sides. Companies who provide a service with a regular login, such as social networks and some ecommerce sites, would find an app worthwhile; for others, a responsive mobile site is cheaper and just as functional. But mobile wallets could be a way for those companies to enjoy the best of both worlds, delivering offers and loyalty updates to consumers without the need to build an app. One intriguing example of a brand using mobile wallets to communicate with consumers in innovative ways comes from the New York Times, who chose mobile wallet as the channel to promote the new series of their podcast, ‘Modern Love: The Podcast’. Listeners could download a pass to their mobile wallets which would take them to the podcast on iTunes in a couple of quick taps. The pass would then update every week with new episode details and other information. The podcast team could also use it to send reminders to their listeners’ device home screens, sharing the week’s special guest and accompanying links. The mobile pass had a 96% retention rate, according to Urban Airship, and provided the New York Times and WBUR an ongoing channel to continually engage their listeners. 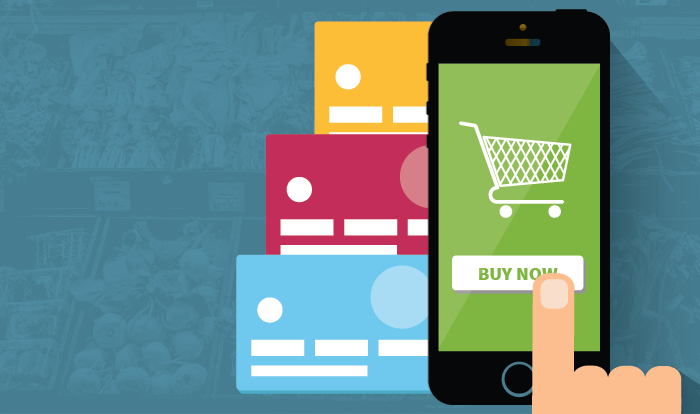 Other novel ways for brands to use mobile wallets that go beyond payments include providing an easy way for customers to access their order details when collecting a purchase in-store, and using beacons to send a reminder about collection when they near a physical store. Mobile wallets arguably still have some way to go before they become as widely accepted as something like contactless payments, but the potential is there for the more ‘flexible’, innovative uses to drive widespread adoption, particularly among brands who are looking for an alternative to a dedicated app but still want to reach consumers on mobile. If digital loyalty cards, coupons, in-store collection notifications and other non-payment uses can get customers using their wallets on a regular basis, it might be the push that mobile wallet needs to become an everyday payment – and marketing – platform.